SABRINA Crystal Daybed In Stone White W102cm x D202cm x H93.5cm. The classic design of the Sabrina Day Bed in Stone White will bring an excellent sense of style to the spare room and can be combined with the Sabrina Underbed for a complete sleeping solution. The timeless design of the frame ensures that it will match a wide variety of decors whilst the slats provide support and comfort. 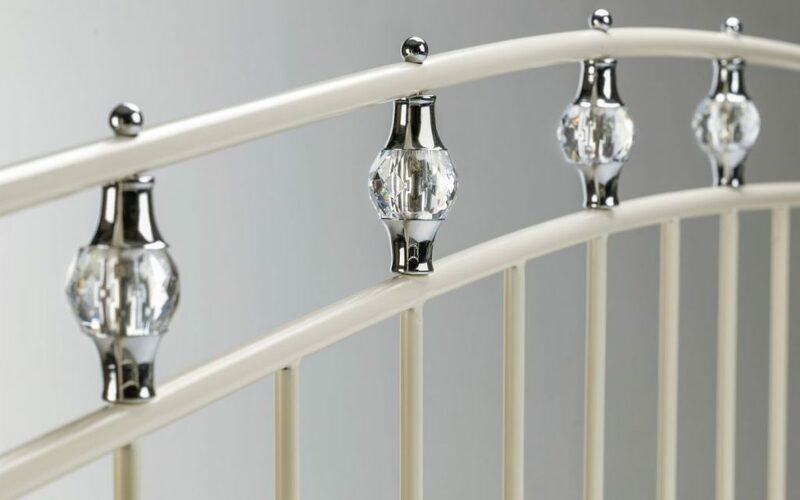 The Day Bed is available in a stone white satin finish with crystal-effect finials. 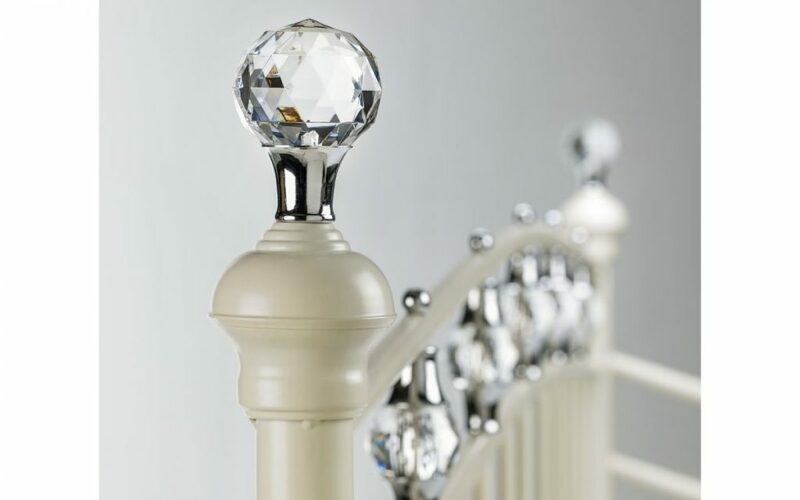 LOUISE Metal Headboard In 3ft Single In Stone White & Crystal Finials. LOUISE Stone White & crystal Metal Bed Frame In 3ft Single. LOUISE Stone White & crystal Metal Bed Frame In 5ft Kingsize.